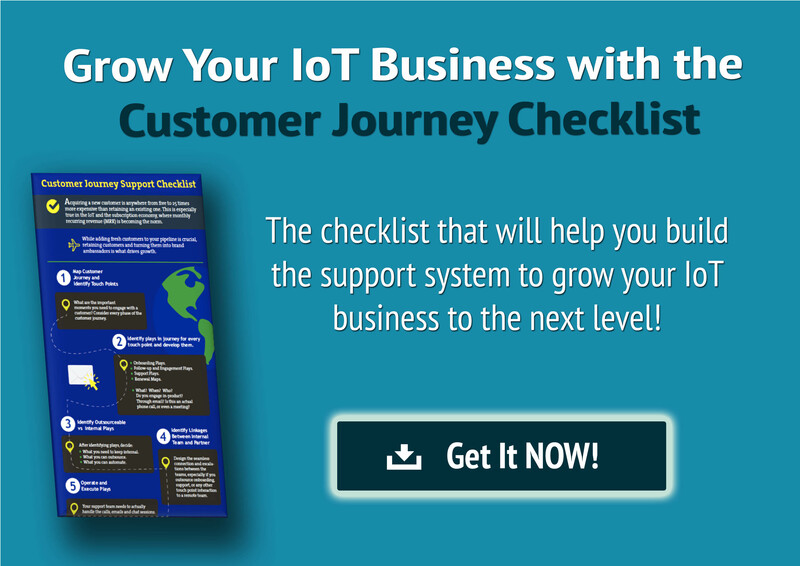 As we illustrated in our blog post The Guide to Growing Your IoT Business Through the Customer Journey Support Model, supporting the customer throughout their journey with your product is key to growth for IoT companies. In fact, the rise of the Customer Success group in consumer technology organizations and of the Chief Customer Officer in larger enterprises is a testament to the importance of customer experience and customer retention as key growth drivers across industries. We firmly believe you need to think beyond the traditional concept of support (where you try to solve a consumer’s problem after-the-fact). 9 with your product and company – from on-boarding and first use, to specific milestones, say the first 30 days, 60 days, 90 days, the first year, and ongoing maintenance and support phase. That is how you achieve delight, retention, renewal and advocacy. 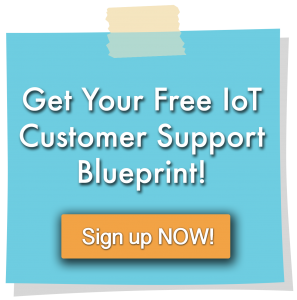 In this article we describe what customer support plays are, and how consumer IoT companies can execute these plays within the context of this new customer-centric paradigm. Here are the six points you need to keep in mind when executing your customer support plays so they will support your company’s growth. First, is your company a B2B or a B2C product company? I know you know that, but does your support strategy know that? The processes you put in place will be quite different depending on who your market is. So if you’re selling to a retailer, to a transportation company, to a manufacturing company, or just to other companies in general, you’re dealing with hundreds or maybe thousands of customers. But if you’re selling to consumers, you’re selling to hundreds of thousands and perhaps millions of customers. The difference in scale is enormous, and it affects what you do and how you do it. Maybe your product is a wearable and you sell through big box retailers. You know from the very beginning you’re going to support potentially millions of customers. It’s obvious you can’t execute a high touch support process like a B2B company can. It’s cost-prohibitive and definitely not scalable. You can’t pick up the phone to talk to each and every customer. It would be impossible to do an on-boarding meeting for millions, like perhaps B2B IoT or SaaS companies do. But maybe you can automate these processes. Another point to consider is: who is going to handle the customer support relationship? If you’re a B2B company it’s typically a customer success manager (CSM) or team. Each CSM can typically handle between 10 and 20 accounts. But for the B2C scenario you’ll probably assign this to marketing. They have the skills to set up the automation tools needed to handle the one to many communications through the various channels, such as email, messaging and text apps. Finally, you need to decide if you can handle an assisted support situation or if you need to deliver self-help functionality. If you’re a B2C company you may need to setup tutorials, FAQs or in-product support assistance that can help your users through various well-known scenarios. But even with those tools available, it is feasible to provide a certain level of assisted support to your users, at least those that need it. Some handholding for less tech-savvy customers, especially when unboxing the product or setting it up for the first time can prove extremely valuable, and profitable, as it potentially extends the life of that customer relationship and your average customer lifetime value (LTV). So you know whether you’re a B2B or B2C company. That’s obvious to you and your team, and you’ve chosen your support model. Now you’re in a better position to map your customer journey. What phases will your customer go through in their journey with you? What do those phases look like? What are the various touch points that occur? How many touch points are there? By touch point I mean whenever your customer has an interaction with your company. In other words, how many touch points are actually happening along these various phases? What do they look like? Go through what your customer would go through: visualize and describe what happens at each touch point. Since a lot of the Customer Success terminology and outlook in tech has been most developed in the SaaS industry, let’s take a software services company as an example and a model. Their first touch point might be a kickoff meeting after the initial purchase. In this initial meeting, which may last anywhere between 30 or 60 minutes, you’ll have the people that made the sale, the customer success manager, and maybe somebody else on your team there. Of course the customer will be there…most probably the end-user. In all, you may have five or six people in the room. Then you would go through various items on the agenda to prepare the customer to be onboarded, set expectations, etc. Now if you’re a B2C company you obviously cannot afford to do that. At least not in that way. You have to do something similar that’s not as high touch. How can you do that? Perhaps a canned e-mail with clear unboxing and setup instructions, but let’s not get ahead of ourselves. The point is that you would need to perform the same exercise for all the other touch points as well. As you develop your customer journey map, it will start to look like a series of phases and a series of key touchpoints: onboarding, first use, 30-day milestone, ongoing support, and cancellation and renewal, for instance. Each one of those phases has their own touch points. The next step after the touch point and journey mapping exercise is to develop a specific set of plays for what you’re going to do at each touch point. 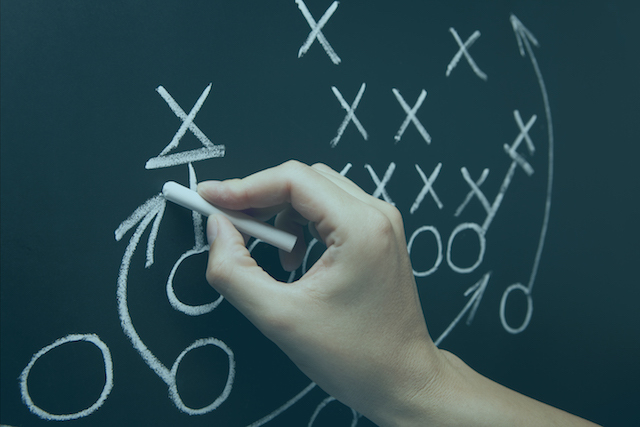 Just as a football game has a set of plays for each offensive or defensive scenario, the modern customer journey support paradigm also has plays, depending on what touch point the customer is at in their journey. These are the standard operating procedures of your support operation. The plays guide you to perform certain support functions. They specify the tools, roles, and actions your team will take at each touch point. So in SaaS, if you’re going to onboard a new customer, you might design a play for a 50-minute call. For consumer DIY products, such as Smart Home or wearables, you need to come up with an equivalent, much more automated lower-touch alternative. That said, some of your customers will require assistance as mentioned before, so maybe you’ll have to create a play that describes a remote session where one of your agents actually walks her through the product, how to install it, connect it to her home WiFi or Bluetooth, and use its basic features. Who’s involved in the play? Each play might describe who’s involved from your end, how long it’s going to take and what tools you’ll need to complete the play. xample the assisted services will be delegated to a trained customer support agent, or to an email or in-product guide on your mobile app..
At another point of the journey, if you’re trying to renew the customer’s subscription let’s say, you’ll probably involve a sales person in a SaaS or B2B situation, while for B2C you might resort to well-planned renewal e-mails and agent reach-outs by phone only to customers at-risk of not renewing based on things like product usage patterns. Before you execute anything you should have a pretty good idea what you’re going to do and how. We recommend developing a one-page document that describes each play. It really shouldn’t be more than a page. Most companies don’t do this, which leaves you with a huge competitive advantage if you decide to follow this approach. The one pager is one of the most powerful tools you can create (and it’s one of the things we help companies with). It will make your processes for providing customer journey support services much more predictable, uniform and measurable. Another advantage of the one page play document is that it can get everybody on the same page, including outside people you might assign to perform any task. This is especially true if you’re outsourcing to a partner. Be careful to choose a partner who views their relationship with you as a true partnership, instead of just a way to make money through hourly or transactional billing. After developing the plays for each of the touch points you identified, you then need to develop a support playlist and playbook. The playlist is basically the list of plays, while the description of each play comprises your playbook, yes like a football playbook. While plays may resemble each other from company to company, especially those that have similar products, support challenges and user bases, each company will develop their own unique playlists that are particular to their situation. Once your playlists are set, then it’s time to focus on execution. And by execution, I don’t necessarily mean you’re going to outsource everything. Execution just means getting your support plays done by any means possible. You might have an internal team perform some of the functions, and you might outsource other functions. What interfaces you’ll use between groups and with partners. By documenting your plays you break the whole process down into little pieces. We use an Excel-based tool that visually does this for you. You can take a little piece of any play and figure out if that’s something an external party could do. It provides structure and forces you to be detailed and specific about your tasks. The visualization tool can also help you decide if something can be automated, or if live agents should do the task. Or can it be a mix of the two? Finally, the playbook concept within the Customer Journey Support paradigm uniquely enables you to join customer success, customer support, marketing, sales, and other groups together into a cohesive whole. You can now incorporate groups and functions that are outside of the traditional customer support space. But the new customer journey support paradigm is more than just traditional customer support. It’s about a new business model. Today, growth is not just a sales and marketing function. It’s a holistic function with customer experience (driven by the customer journey support model) as a critical driver for exponential growth. Having a playbook is the ultimate tool for today’s technology companies (especially for the new wave of consumer DIY/IoT providers) where all of these groups intersect, because they each have a critical role to play in driving company success and top line revenues. 7 Criteria for Determining Your IoT Support Budget How Long Should It Take for your Outsourced Support Team to Ramp Up?